The construction of the stadium started in 1992. It hosted 2002 FIFA World Cup matches of Argentina, Croatia, Germany, Ireland, Italy and Nigeria. On 2 June 2002, 34,000 people showed up for the first-ever FIFA World Cup match at the venue. The national football team of Argentina won the match against Nigeria 1-0. Gabriel Batistuta scored the only goal of the game. 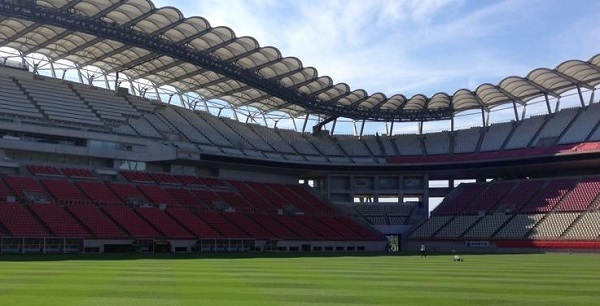 The Kashima Antlers, one of the first Japanese sports clubs with 100,000 followers on their main social media page, have been tenants of the Kashima Football Stadium since 1993. The Antlers won the Japanese top-flight league in 1996 for the first time in their history. In 2016, the Kashima Antlers became the first Japanese club in the FIFA Club World Cup final. They scored twice in the final, but they lost the match against the world famous Spanish football side Real Madrid. The Portuguese football star Cristiano Ronaldo scored three times in the final in Yokohama. In 2018, the Kashima Antlers won the Asian championship for football clubs for the first time in their history. They won the first final of the tournament, which was played in front of 35,000 fans in Japan, 2-0. The second final, which was played in Iran, ended in a 0-0 draw.